Pure Silk being a natural yarn behaves differently in different seasons & environments. Shivam has come out with a technological breakthrough for smooth and trouble free operations. Any type of silk yarn having single or multi ply can easily be twisted giving 'one up' performance in quality and quantity. Shivam TFOs for Pure Silk yarn are manufactured in two models viz. 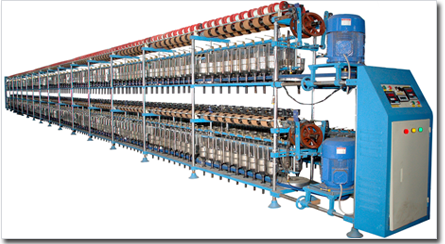 SL-70 & SL-90 and are successfully running in India spinning profits with peace of mind. High Speed upto 12000 rpm.